The Mammals of Texas has been the standard reference since the first edition was coauthored by William B. Davis and Walter P. Taylor in 1947. Revised several times over the succeeding decades, it remains the most authoritative source of information on the mammalian wildlife of Texas, with physical descriptions and life histories for 202 species, abundant photographs and drawings, and distribution maps. 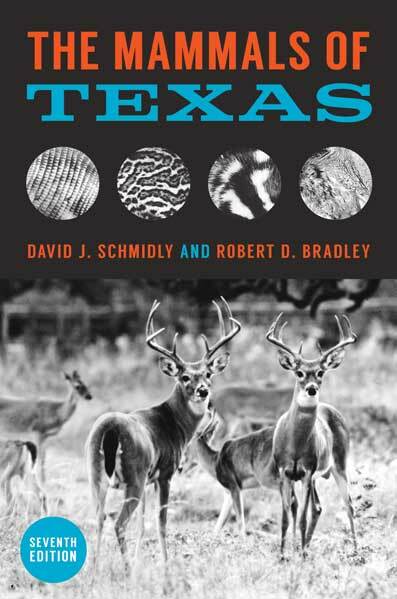 In this new edition, David J. Schmidly is joined by one of the most active researchers on Texas mammals, Robert D. Bradley, to provide a thorough update of the taxonomy, distribution, and natural history of all species of wild mammals that inhabit Texas today. Using the most recent advances in molecular biology and in wildlife ecology and management, the authors include the most current information about the scientific nomenclature, taxonomy, and identification of species, while also covering significant advances in natural history and conservation.